If anyone out there is fond of stamps... I mean... likes to buy cute stamps and put them in a book... y'know not like a collection or anything but... anyhow there are some cool stamps coming out this year. 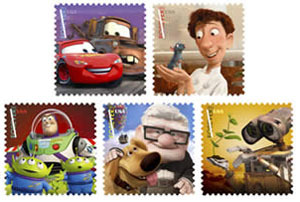 Pixar movie stamps! I love the aliens. I adore design-related stamps. I'm still hoarding a sheet or two of Eames stamps! Be still my heart. I love the Pixar stamps. I always buy the cute stamps and then feel bad when I actually have to use them. Maybe, ahem, I could possibly consider collecting them. Gasp! 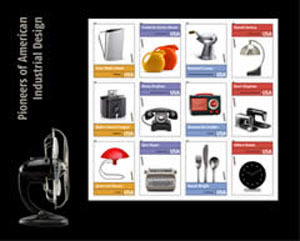 Industrial design + Pixar stamps. Has the USPS been reading my mind?? ?